Although their campaign has concluded, if you would still like to make a donation to support Women's Club Gymnastics, you may always do so here. 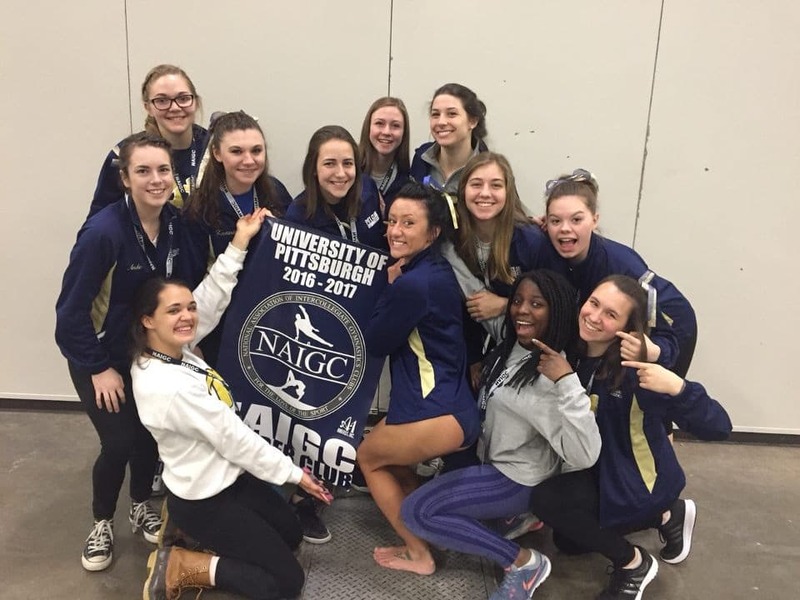 The motto of NAIGC is “For the love of the sport”, and the Pitt club gymnastics team is living proof! Throughout our fall and spring seasons, we have the chance to compete against other club teams locally and across the country. Our season begins with the goal of earning a spot in the National Competition that will take place April 2018. The location of Nationals changes each year, and this year it will be held in Fort Worth, Texas. Over 130 club teams and 5,000 gymnasts will compete at Nationals. Last year we placed second in our division! This year we hope to place first and bring home the gold. Since we are not a University-funded varsity sport, it is up to us to raise the necessary funds to keep our club operational. Please consider making a tax-deductible donation to our team and help us continue to do the sport that we love. We are incredibly grateful for all the support we have received since our inception and hope that you will consider supporting the legacy of Club Gymnastics at the University of Pittsburgh. With your support, we are certain that our $3,000 goal will be reached. Thank you and Hail to Pitt! A donation at this amount will cover the cost of one gymnast's meals for a day of Nationals. Thank you! A donation at this level will cover the cost of one gymnast's warm-up jacket. Thank You! A donation at this level will cover the cost of one gymnast's competition registration fee. Thank you! A donation at this level will cover the cost of one night's stay in the hotel for four gymnasts. Thank you! A donation at this level will cover the cost of one gymnast's round trip flight to Texas. Thank you! A donation at this level will cover one gymnast's total cost of attending Nationals. Thank you!